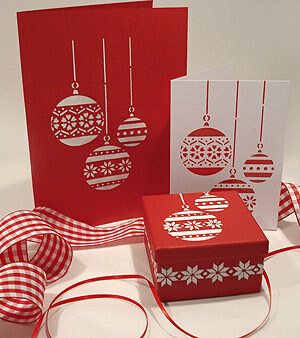 The Little Bauble Stencil – is a charming small stencil of three small Christmas baubles and Nordic star style border. 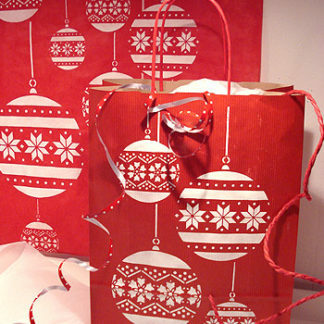 Ideal for making festive cards, wrapping paper and gift bags and for frosting on windows. 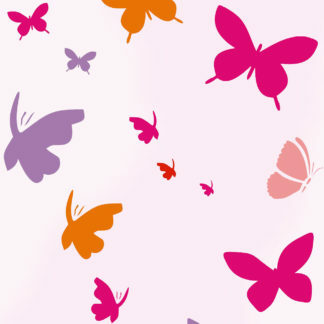 This easy to use stencil is on one sheet with ‘string’ extension for lengthening the design as desired. See size specifications below. 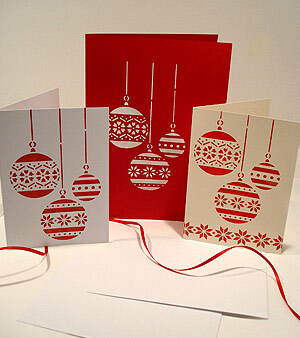 Use seasonal reds, green, white and gold for maximum festive impact! 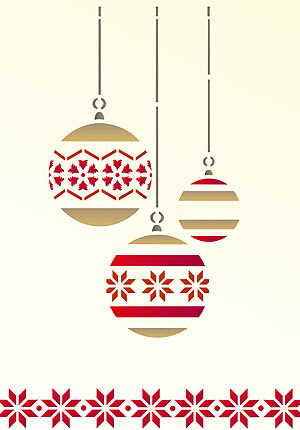 Also see the Christmas Baubles Theme Pack Stencil for a larger version of this design. Above top and below – the Little Bauble Stencil has been used to create this charming set of gift cards, in simple Very Berry (white and cream cards) and Ice White Stencil Paint (red card). 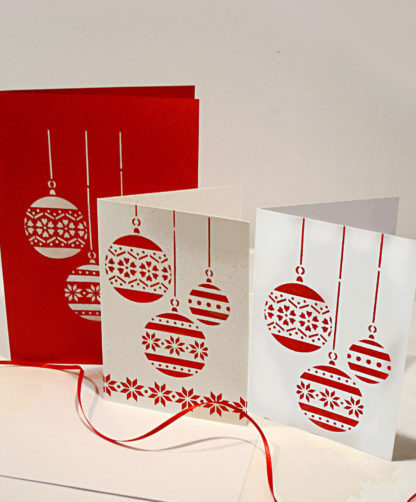 See our plain brown craft cards and white cards in square and A6 sizes for making your own perfect festive cards. 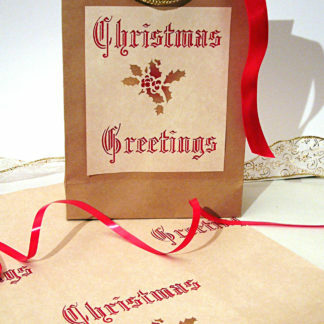 Use the Nordic star style border part of the Little Bauble Stencil to add that extra design flourish to your creations. 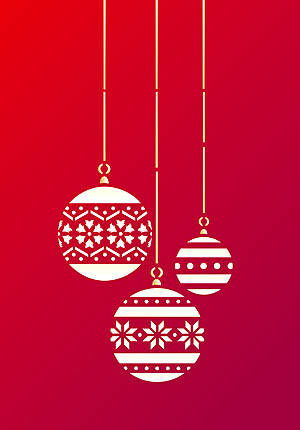 Above – the Little Bauble Stencil repeated in a clustered hanging grouping. 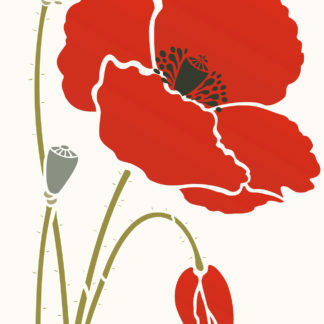 Shown in Very Berry, Raspberry and Yellow Ochre Stencil paint. 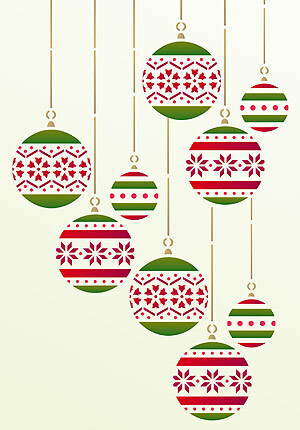 Above – the Little Bauble Stencil repeated three times in a hanging grouping – shows use of the additional string extension. 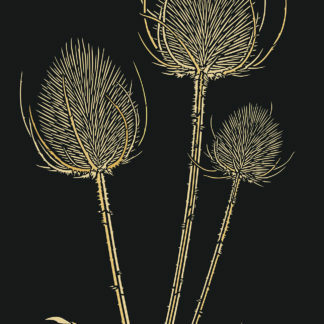 Shown in Very Berry, Raspberry, Verbena and Yellow Ochre Stencil Paint on a pale lime background. Above – the Little Bauble Stencil framed with the additional small Nordic star style border. Colours as above. 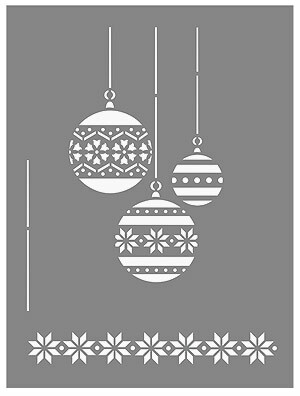 Also see the Christmas Bauble Theme Pack Stencil. 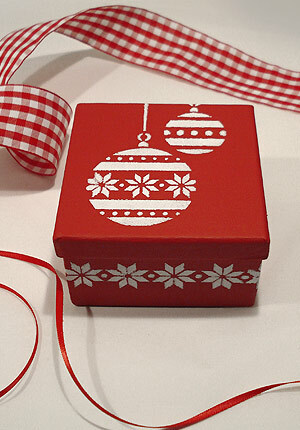 Above and below – the baubles and border motif of the Little Bauble Stencil have been used to create this unique gift box in festive Ice White Stencil Paint on red (our box was painted first with Very Berry Stencil Paint). 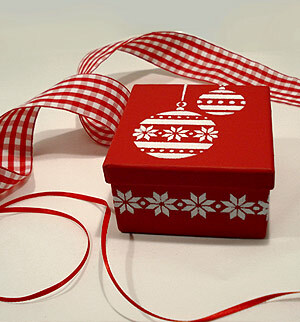 The Nordic star style border part of the Little Bauble Stencil adds an extra festive flourish around the sides of the box. 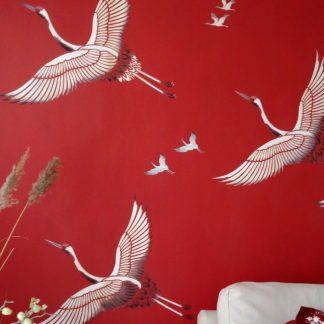 Above – the Little Bauble Stencil in striking Ice White Stencil Paint on a rich red background. Above – the Little Bauble Stencil (includes Nordic star style border) shown in Very Berry, Raspberry, Mocha and Latte Stencil Paint. Above – the Little Bauble Stencil in Very Berry, Raspberry, Verbena Stencil Paint and Antique Gold Metallic Stencil Paint. 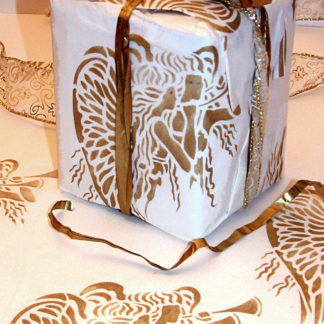 The Little Bauble Stencil is a one layer stencil comprising a cluster of three small bauble motifs, with additional string extension. On 125 micron Mylar. With full usage instructions. 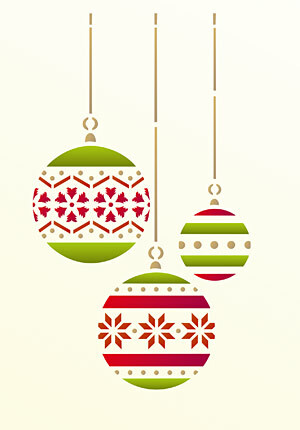 The largest bauble is approximately 4.7cm/1.25″ wide. 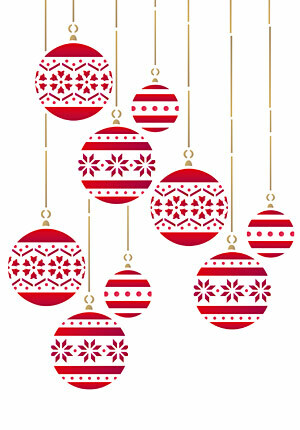 The smallest bauble is approximately 3cm/1.25″ wide. Nordic style star border motif is approximately 14cm/5.5″ wide. 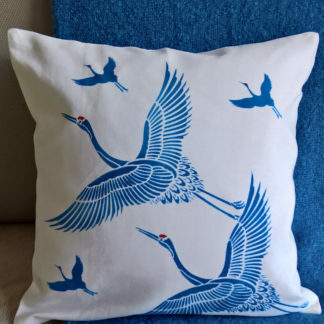 Sheet size 165cm/6.5″ wide x 22cm/8.5cm tall. 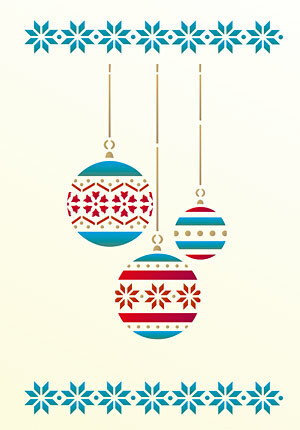 Left – sheet layout of the Little Bauble Stencil, with additional string extension and Nordic star style border.